I knew it was approaching. But all of a sudden it was one week away, and the realization sent a whole new wave of shock through my body. My baby’s due date – it’s circled on the calendar and marked with a heart. 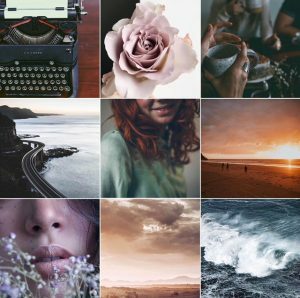 There had been a lot occupying my mind and heart and maybe that was for the best so that I wouldn’t spend all of my time wallowing, hurting, obsessing over a baby that I’m not going to hold… now. But, regardless of the busy, the sting was still there and for the first time I understood what others said about the sensation of aching, empty arms after losing a baby. But as I’ve said before, writing is often my praying when I’ve run out of words to speak… and so I wrote (and I still write). And I pray. And I believe that things do get easier. As salt-heavy tears burned tracks down my cheeks I thought of the Teacher: “Let the little children come to me,” he whispered. 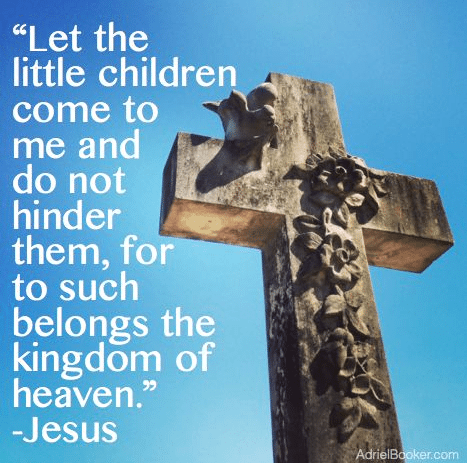 At one time he was speaking of the little ones gathered around him for a blessing, but that night he spoke of my little one, of our little ones lost. “Let them come to me,” he said. There must be no greater invitation than that. Despite my grief and my ache and my soul crying out, this voice still whispers quiet in my spirit. And so I do – I let go again. I breath deep. I let the tears fall. I let Comfort draw near. I know I’m not alone. There’s a groundswell of women, of men, who have given birth to life and death and who hold on for the resurrection, anchored in Hope. We know we stand on holy ground. She is one, she is many. 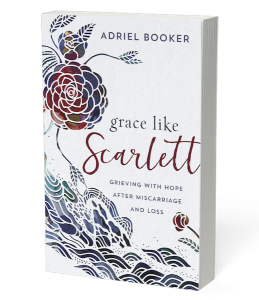 Scarlett Grace has been that to me – just what her name represents: life and death and resurrection all undergirded by Amazing Grace. Still, I miss her. And I remember her today, every day. Friends, it’s not brave of me to share openly about losing our baby. It’s not brave at all; it’s desperate. I share because I know that secrets kept quiet burn away at the interior of a soul and so, as painful as it is, I crack open wide and ask for Jesus to come in. I ask him and he does. He comes through you and through the sisterhood of the bereaved and through those willing to love in the vulnerable, messy margins and in-between spaces of a life undone – a life that’s not neat and tidy and yet holds beauty and a hope and promise even still. Or maybe because of. Today is International Pregnancy and Infant Loss Remembrance Day and today is a day where I want to use my voice to encourage my sisters out from under the weight of silence. Won’t you come – open your heart and let the Healer come in? You see, he comes through the quiet Spirit whispers and he comes through those Holy Book pages… but he also comes through shared stories and exchanged emails and friends holding hands across the world and across the dinner table. We speak and we write and we share not only for ourselves (though it is a balm), but also for the ones who will come after us and who will need light in their dark hour. We write for the ones who don’t yet know how to write for themselves. She is one. She is many. If you’ve found yourself here in hopes of comfort and healing and hope restored, I pray you’ll find rest and nourishment for your soul. I can’t offer all of the answers your heart longs for, but I can offer solidarity and I can point you to others who have walked this path before us. We are not alone, sisters. 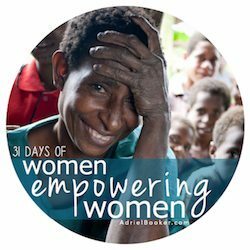 This post is part of the series 31 Days of Women Empowering Women. 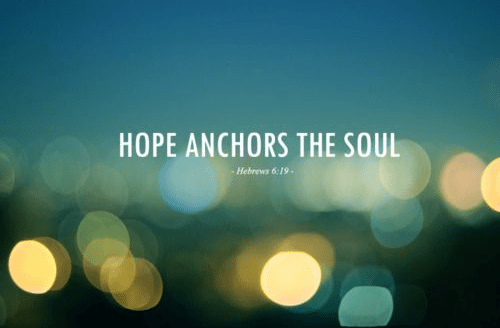 image sources: hope and miscarriage. 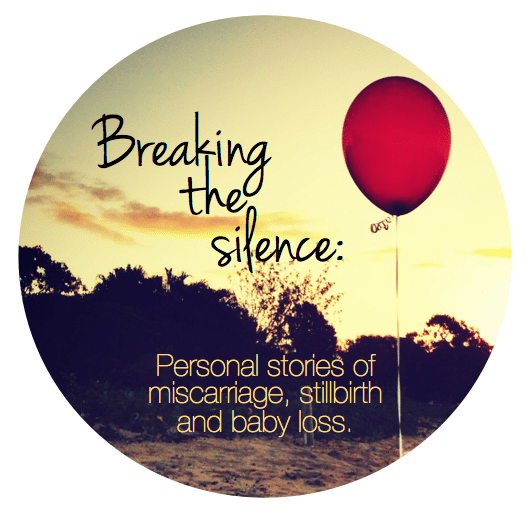 Breaking the silence: A link-up for babyloss moms to share our stories about miscarriage, stillbirth, or neo-natal death. 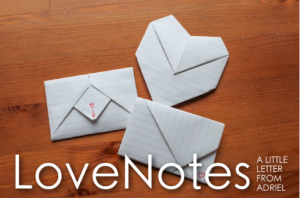 If you’ve lost a child and have written about it, please link up your story below. If you’ve written multiple stories, feel free to link each of them individually. (Just write your individual title for each post so that we know what we’re clicking on – I’ll start with some of mine so you can see what I mean.) If you have a story or resource post about babyloss that someone else has written that’s encouraged you, please feel free to link that up too. If you have a story that you’ve not shared publicly on a blog but would like to, please paste it into the comments below. That way when women come searching they can find more than just my words here, they can find yours. Your story is important; your baby’s story is important. Please note: When the linky tool expires and closes, you can continue to leave your story or a link to your story in the comment section. This is a lovely idea for a linkup, Adriel. Thanks for sharing your heart with us. We lost our first baby in 2010. It came at a significant time. My husband and I were moving off of the Medical Ship we had been serving on for several years. Our plan was to pack up and drive from Townsville to Sydney (a 4 day drive) together with my parents, who had come to visit us. From there we would fly back to North America for our first extended break in many years. The very day we made this major life change and packed up our little “house,” we found out the bleeding I had been experiencing for 2 days was a miscarriage. With no insurance that would cover a D & C, a complete naivety about what “passing it naturally” would mean, and a desire to just get on the road, we left that day as planned. Our week-long journey down the coast ended up including two emergency room stops in two different towns because we had no idea that the incredible pain (which I now know were contractions) and heavy, heavy bleeding were normal for “passing it naturally.” I’m pretty sure that I flushed my baby down a toilet in some backwater gas station restroom while hanging on to my husband for dear life and gasping through the worst pain I’d ever experienced. I don’t tell a lot of people this story, because frankly, who wants to know. It’s not a nice story. But I’ll never forget it. D & C procedures before everything was fully removed, and all up the “miscarriage recovery” took 3 months. Perhaps because the physical side of my miscarriages was so traumatic, the emotional side was not as hard. I grieved more for the first than the second, but I know in general I grieved much less than many women do. I don’t know why. I’m sure many other women who’ve miscarried wished they felt less grief. I will always wish that I felt more. In some ways I feel like I didn’t love my babies as much, like my level of grief did not do them justice. I’ve wondered if I’m just cold and unfeeling. How could I move on so quickly? What does that say about me? But regardless of how I feel, I know I’m not just a mama of one healthy two year old, I’m a mama of three. The losses have shaped me and changed me and caused me to question and pray and think deeply about hope and trust. I’m to the point now where I am grateful for my babies, grateful to have been their mama, even for a very short time. I don’t want to forget them and I don’t want to forget my stories, painful as they were. Lori, your story is heart-breaking and beautiful. I’m so glad you shared it – many reasons, but specifically to raise the issue that we all experience the grief so differently. For every woman that feels like her grief might be “too much” there’s probably another one who wonders if hers is “too little”. It goes to reinforce the fact that there’s no linear path to processing grief and we all walk it out a little differently. I really felt for you reading your story. I have lost two babies, one ‘naturally’ but very early on which all went fine and one this year which ended up with me hemorrhaging and needing emergency surgery and blood transfusions. For weeks I felt so traumatized by my experience that I didn’t fully grieve the loss of my baby at all, but then the grieving began and I felt like I had to relive it all again. Thank you for sharing your story. I agree with you and am also thankful for the small amount of time I got to have with my child. I know I’m finding this super late, but I really connected with you woke reading your story. I had a very similar miscarriage this past April. I started feeling a lot of pain. I thought it was just my period, because they’re always really painful and I know it’s still very possible to have regular periods during pregnancy. Turns out, it was a miscarriage, and I flushed my baby down the toilet. Realizing that I flushed it gutted me, but I didn’t grieve for very long. I never saw a heartbeat during any of my sonos. I feel like I never really got to connect with the little life growing inside of me. It was rough, but I feel blessed because I still had my baby for a short while. I feel like a stronger woman, and I’m more ready than ever to get a second chance at it. Adriel: You say it isn’t “brave” that you share this way, but I disagree. Sharing the heartaches of our souls and offering them up can be so very hard. But also so very necessary. It’s where healing begins. It creates a place where people who share that same grief, or for others whose grief looks different, can hold hands and love each other in it and through it. I do not bear the burden of this kind of loss, but I can certainly sympathize as a mother and feel the dull ache beside you. Your story, your daughter’s story, has made an impact on my heart. And I’m so very sorry for your loss! Thank you Christy. I guess what I didn’t consider by saying that is that maybe by implication others would think that I’d accuse them of NOT being brave if they chose to keep their stories private. And that is so not my heart. But honestly, for me, it didn’t take bravery to write about my miscarriage over the last several months. It was simply the way I processed the pain. To me, writing is a release – part of me sorting out how I feel and think and also part of the healing. But I understand that not everyone is wired like me. I agree with Christy – this was brave… and beautiful… and oh so very honoring! Your heart for others – even in and thru your deep deep pain, just shines Jesus. I know I respect and love you greatly! Fiona recently posted..On the outside, looking in. I wrote this 10 days after my miscarriage. I was 14 weeks (my baby stopped developing at about 7 weeks though. I preferred to let nature take its course instead of medically terminating). This is unedited and written just as is the day I wrote it. I felt that by editing it and rewriting it to make sense, it wouldn’t have stayed true to my feelings. I finally admitted those words today. Out loud. Spoken through vocal cords that I never felt move. Said by a voice that didn’t sound like me. It didn’t even sound human. Someone asked me how the baby was doing and I had to say it. I did well…I hid behind a mask and said “life happens, and I’m ok. Sad, but ok”. That was a bold faced lie. I AM NOT OK. I don’t know how to be ok. I am consumed with such an Overwhelming sadness that there aren’t any words that can describe the depths of this. I am also guilty. That “embryo” became my child the moment I saw the two lines on that test. I fell in love. I dreamed of me, SO, and peanut walking through the park. I dreamed of peanuts first day of school. i was in love with my child. I couldn’t wait to start showing. I couldn’t wait to say “I’m due ______”. I couldn’t wait to see who our child looked like…My Puerto Rican boyfriend or my Irish roots or some crazy combo of both. I couldn’t wait to breast feed. I couldn’t wait to give birth. It was my responsibility to nurture and protect my child and I failed at it. I failed my future son or daughter. I’m told to move on. That It’s all going to be ok. That I will forget and have a wonderful pregnancy the next time. I’m told that I shouldn’t think about it any longer. How the hell can I do that??? I loved my child. I loved that 6 week size of a pea fetus that should have been 13 weeks at the time I lost it. I would have done ANYTHING to protect it. I thought I did it all right. I got my blood sugars under control immediately, I ate right, took my insulin 100% the way I was supposed to for the first time in years. I took the vitamins. Went to the doctors immediately. I rested. I loved. I planned. I prayed. It didn’t work. Somewhere along the way I messed up. Was it the two glasses of wine and a glass of champagne I had at a wedding two weeks before finding out about peanut? Was it the antibiotic that the doctors in the ER prescribed me for a staff infection I developed around thanksgiving? Was it the Tylenol I took for the pain of said staff infection? What was it? What did I do that caused me to be no better than the girl at the abortion clinic aborting her baby because she can’t handle telling her parents or boyfriend that shes pregnant? What did I do to deserve to loose this baby and what did I do that was so bad that this baby had to pay with his or her life before it began….literally? I know that I will never have an answer. I will never forget the feeling that I had when I saw blood on the toilet paper that wednesday afternoon at work. I know I’ll never forget the look of the “tissue” as I passed it at 1:33 am on Sunday January 6, 2013. Ill never forget the heartbreak I felt as I flushed. Ill never forget the feeling of despair I felt when the doctors at Emory confirmed for the last time that no heartbeat was present and that no development had come in more than 2 weeks. Ill never forget the first sonogram. Ill never forget the amazing excitement or simultaneous fear as I peed on that stick and waited 3 minutes. Ill never forget the look on my significant others face when he realized what the plus sign meant. Ill never forget the first time I looked in the mirror and said I’m going to be a mommy. Ill never forget every tear that fell down my face, both tears of joy and sorrow. I know that one day I will be ok. I know one day I will forgive myself. I know that today isn’t that day. I know that i will have a beautiful family one day and that my children will help me move past this loss. I also know that I will NEVER forget the love I feel for my first born “angel baby”. *disclaimer: while I am still heartbroken by loosing my child, and constantly reminded that I will not be welcoming a new member to my family this July, I am not now or have I ever had the thought of hurting my self. I know this sounds like I might be thinking it, but I am not. Thank you for he concern though. Thanks for sharing your story Stephanie. It’s so hard. I think it’s wonderful that you chose to share your story “unedited”. No doubt many women struggle with the exact same feelings as you’ve described, but then feel they need to edit out the hard stuff or the stuff they know “logically” should be different. But sharing the whole of it – that takes courage and humility. I appreciate your willingness. Adriel, I completely agree with Christy. You are brave for sharing this. While my story of loss is quite different from yours, I’ve not been able to put it in writing. It was almost 4 years ago. Thank you for sharing your heart in this! I read through tears streaming and feeling so loved by your words. I didn’t know of this DAY until today and will never forget it now. Thank you for giving permission to mourn the loss. That may sound strange but I mean because of the way it happened, I’ve felt like there’s no reason to mourn this way. Like it wasn’t a “real” loss. Maybe I need to write it out. You write so beautifully Adriel! You have an amazing voice! Oh Jennifer. Most importantly, I’m so deeply sorry for your loss. There really aren’t words adequate to describe the pain. And then I think that pain sometimes gets compounded if we are ashamed of it, or feel we “shouldn’t” have it. But friend, every loss is a real loss. I’m so glad you’re willing to open your heart up to greater healing. 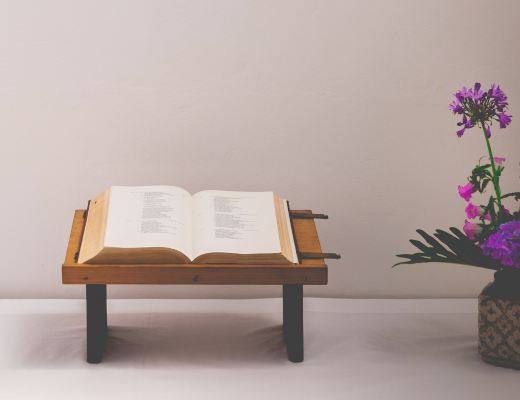 Whether you write about it or not is not the issue, but just embracing that your pain is valid and real and that there is a process of grieving to work through… and opening your heart to let Jesus do what only he can do. That’s it Jennifer, that’s it. Thank you for sharing…I came across this blog by mistake and it brought back all the heartbreak of my own loss. I was 20 years old. Young and slightly foolish. I didn’t have a boyfriend, I was fighting with my parents, I was scraping enough money for university by working two jobs before and after school. I was despretely trying to hide a pregnancy from the world, under bulky clothes and throwing up quietly by myself. I had no idea how far along I was, I went to emerg with what I thought was really bad heart burn. Turned out my baby’s cord was around his neck. It had gotten so tight that the blood stopped flowing. They induced labour that night. I requested a lot of medication. Thankfully the doctors medicated me so much I never felt the labour. The sweetest, cutest, fully formed, 3rd trimester little boy was placed in my arms. I will remember his scent for the rest of my life. Since I was basically a child myself, I didn’t understand the loss, I felt it was my fault. I thought I was being punished for something I did. I never told my parents. I felt alone and dirty and sinful. I turned my life around at that point. I met a wonderful man, got a steady job, took online school so I could take time for myself, bought a house, got married and exactly ten years later had another little boy! Healthy, bouncing, wonderful little boy! My experience with child loss has taught me a lot, I certainly took the long way around, I punished myself instead of dealing with the loss. But I feel that his death has made me a better and stronger woman, wife and mother. His death was not in vain. Emma, your story is beautiful and heart-wrenching and has left me in tears. What a difficult string of events for a young women to go through, much less go through it alone. I’m so glad you have found healing and restoration and have a lovely family of your own now. So thankful that tragedy can help shape us, but doesn’t have to define us. 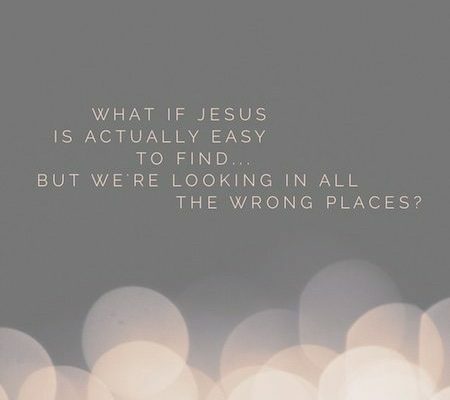 I stumbled on this post by “accident” (meaning Jesus brought me here because He knew I needed to read it!). It’s been almost 2 months since we went in for a routine appointment and were told that our “Little Bean” no longer had a heartbeat. I was 18 weeks along in what was otherwise a normal, uneventful, truthfully easy pregnancy, but baby had stopped developing around 15 weeks. I had even thought I felt movement in those last weeks. I later wondered what I was actually feeling and how my body could betray me like that. Those first days were unbelievably hard. On top of processing such a loss, the decisions we had to make were things we never dreamed we’d be faced with. I have struggled with guilt over choosing the surgical option rather than being induced and going through labor and delivery, but I knew – and still know – that I was not strong enough to be awake when they took my baby away from me, and I couldn’t imagine my husband having to be there for that, either. 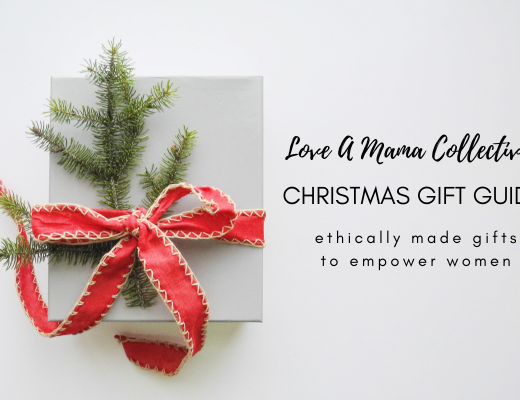 Logically, my head knows that my choice could not change the outcome, and my baby was with Jesus long before we knew it, but still I struggled with that decision wondering if it was cowardly or somehow didn’t honor my baby appropriately. From those first days, I had a persistent feeling that I needed to be writing. I wasn’t sure what or why, but I finally started jotting down thoughts in a notebook as days passed and as I read through The Word. Having found more comfort through your words, I am glad I’ve been writing. Perhaps someday God will use my experience to help another. Thank you for sharing your story! It has done my heart so much good as I am still trying to process all of these feelings. I know I’ll never be the same. I feel like a mother without a child, but I’m trusting that Jesus has a plan for us much better than whatever we could have planned for ourselves. A year and a half after my first baby I had a miscarriage without knowing I was pregnant. My husband and I haven’t shared with many people because who would really understand. How do you not know you’re pregnant?! I was seriously over weight after my first child and at my daughters first birthday I choose to take control of my health. I was on a huge losing streak, down about 60lbs and training for a triathlon. I totally missed all the signs because when you lose that much weight and your training hard your periods are sporadic and light and vomiting during a heavy workout seemed normal. I had what I thought was a normal sporadic period about 2 days of spotting but after a break of a day I started having some really heavy cramping and weakness. My husband was at work and my 1.5yr old daughter was watching Tangled and I fell to my knees clenching the island in my kitchen when I felt a gush of fluid run down my leg. I dragged myself to my bathroom only to find I was bleeding seriously with painful cramps I knew were contractions. When I passed the baby I was in shock. I had instant guilt and grief rush over me. A giant wave of confussion hit me like a tsunami and all I could think was, “how? 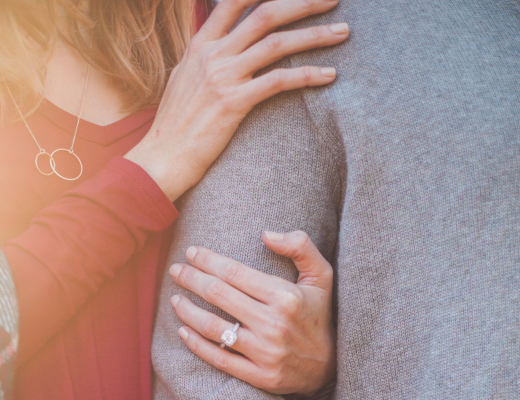 !” I called my husband and he came home as soon as possible and we were both struck with guilt, feeling as though if we only knew we could have saved it. We know now that was not Gods plan. There was a purpose in our situation and in a time when my husband and I needed to be drawn together there was a closeness between us during this heartbreaking time. After visiting the hospital and OB it was determined I was approx 12 wks along and had passed everything naturally. The same week of our babies estimated due date we found out I am pregnant. The news was bittersweet and terrifying. This next week marks 1 year since the miscarriage and I’m due in 4 months. Thank you Adriel for creating a place where we can share. Only recently have I felt like my story matters and deserves a voice. We’ve been very cautious with who we tell because I’ve experienced people who easily discredit my miscarriage. Oh goodness, Candice. What a story! I can’t understand how anyone would discredit your story. For that, I am so sorry. Please forgive “us” for a lack of empathy when you needed it most. May God heal your heart from that pain, as well as the pain of losing your child! Sept. 23, 2013 is a day I’ll never forget. It is the day I passed my baby. Two days before that was just a normal day, playing outside with my two children and enjoying the Georgia heat! Until I started spot bleeding, my OB said it was normal and just to take it easy. But I knew it was the beginning of the end. Due to insurance issues I hadn’t been able to have a ultrasound but I was estimated to be 11 weeks pregnant. When the bleeding got worse I went to the er. I had my first ultrasound and the tech wouldn’t tell me anything or even see the screen to see my little peanut. I just wish I could’ve seen my baby once. When the doctor came to tell me the news I already knew I tried to stay strong and not cry in front of the er doctor, but he kept repeating the horrible “m” word I lost myself. The day after that I laid in bed while my husband played mommy and daddy to our children, I just couldn’t even look at him, knowing that my body killed our child! The early morning hours of sept. 23, the cramps started. I wasn’t prepaired for what was about to happen. I was in the worst pain ever, even after 2 vaginal births, this was the worst. I was screaming and crying on the toilet while my husband was yelling at me to be quite because he had to be at work early that morning. I had no support during the time I needed it the most. Finally around 3:30am I called my mom and she sat on the phone while me while I unknowingly passed and flushed my child. It ended just as fast as it started but now I still have the empty spot in my heart. The crying has gone from day to day, week to week, to now every once in a while. The pain will always be there and that sweet baby will never be forgotten even though I never saw it. 2013 has been a rough year for my husband and I. We had been struggling with trying to conceive our first child for almost 2 years when in January I took that test and had 2 pink lines. I was so happy and so thankful that God had finally answered our prayers. We started making plans and arranging our lives to accommodate this new little person. The day after getting my blood results back confirming the pregnancy, I went to the bathroom and notice bright red bleeding. I sat on the toilet and cried. I knew what it meant and I couldn’t believe that it was happening. After all of this time of trying month after month we were finally going to have a family and it’s being ripped right out of our hands. I wasn’t far along, maybe 4 weeks, but from the moment I found out I was pregnant I was planning on everything I was going to do with this much wanted child. I fell into a deep depression. I would lie to my family and friends telling them I was fine, but inside I was as far from fine as one could be. I constantly questioned how could this have happened? Why was it happening to us? Am I being punished for something? It really broke my faith. I began to resent God. I quit going to church with my husband and I would feel so annoyed any time I was told “God has his reasons” or “this was part of God’s plan”. Those words did not comfort me at all. It just didn’t make any sense how the gift of a precious child could be taken away from two people who truly wanted to be parents. I thought I had grieved all I could for my loss and that I was making progress to put it behind me and I was trying to enjoy my life. I had started a new job and my husband and I were eager to begin trying as soon as the doctor cleared it. Then Mother’s Day came around and it’s like all the pain that I thought I had dealt with came crawling out of this deep, dark hole. I couldn’t handle the fact that this was to be my first Mother’s Day as an expecting mom and now it’s a day that leaves me saddened and dealing again with the loss of my child. I couldn’t handle it. I began to take my pain out in my husband who never deserved it. Even though I was awful and cruel, he was still there trying to comfort me and help me release my pain. I’m thankful for him every day, without his constant love I don’t know if I would have been able to get out of the dark hole. We began trying again the following month and found out we were pregnant at the end of July. We were so happy to be blessed with another child. My doctor had me coming in weekly to check my HCG and progesterone levels and everything was progressing as it should. I remember the moment I saw our baby at 8 weeks and crying because there was a heart beat and that it really was happening. The doctor wanted me to come in again a week later to have the ultrasound redone. That day, we found out that we were really having triplets. We couldn’t believe it! I was in shock, my husband looked like he would faint. We sat in the car after the appointment and I remember bawling because I was disappointed. That wasn’t supposed to happen, there should have only been one baby like the ultrasound showed the week before. Eventually, the shock wore off and we were happy to have our family and that we made it much farther than our previous pregnancy. We began seeing a high risk OB because we were having multiples and there could be some potential risks to the babies that needed to be monitored. At every ultrasound, I had this feeling that something was wrong and that if something were to happen, it would happen to Baby B. I tried not to think about what awful thing could happen because they looked so strong at each appointment. At 14 weeks, we found out we were having a boy and identical twin girls. My husband was so happy to know he was going to have a son and two beautiful daughters. By 19 weeks, we found out the girls had twin to twin transfusion syndrome where they share a blood supply with each other instead of having their own separate supply. We had to fly to California to see a specialist and have a laser surgery to separate their blood vessels. The surgery was successful in separating the vessels, but that’s when we found out that Baby B was receiving less than 10% of the nutrients from the placenta. We were also told to expect Baby B to not survive the night. It broke my heart. The nurses put a sedative in my iv, otherwise I would have not gotten any sleep. My husband and I cried and prayed that she would survive. We went to the post-op appointment the next day and to our amazement, Baby B was doing just as well as she was before surgery. We were so relieved to know we weren’t going to be flying back home with such sorrowful news. Unfortunately, it was short lived. Baby B managed to hang on for 3 more weeks following the surgery and we found out at our appointment on December 10th that she didn’t have a heartbeat. I was devastated. I remember going hole and curling up in bed with my husband and just us crying together. I would stand in the shower crying and just saying how sorry I was that I couldn’t protect her or hold her hand when she left. I had asked God if He held her hand as she left this earth. I was so scared about her being by herself and wondering if she was scared, if it had hurt when her heart stopped beating. It was a sad way to end 2013, but I didn’t let the grief be buried this time. I couldn’t afford to fall into that hole again, especially, knowing I still have 2 little ones that are still alive and healthy. I’m thankful that I am still carrying the life of 2 babies and if it wasn’t for them, I could have very well have fallen back into a hole of sadness. My faith isn’t what it used to be, but I’m trying so very hard to let go of that resentment I had towards God. I realize how lucky I am to have not one, but 2 guardian angels watching over me and my family. So excited to be bringing a son and daughter into the world in the next 6 weeks, but it will be a bittersweet moment because I’ll also be delivering Baby B and I’m not sure if I’m ready for that. I had a miscarriage in January 2013. My husband, Richard, was out of town, when it happened and he drove 2 hours home asking God why. Why take our first baby, bless us so richly and then take our biggest blessing? Why was our baby gone, what did we do wrong? 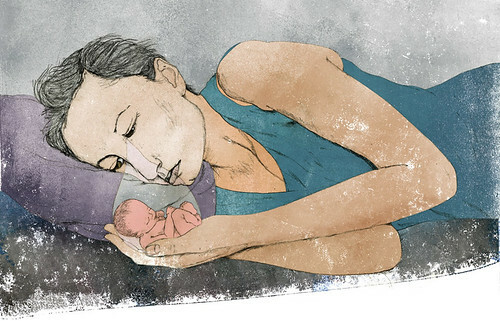 I hated myself for losing our baby. I couldn’t understand what I had done. In the days after the miscarriage, Richard would hold me and tell me that God had something in store for us. I didn’t believe him. I had devoted my life to God and this is what I get! I was loosing my faith in Him, I didn’t want to go to church and hear about His blessings, (my blessing was gone! ), I didn’t want to hear my church family tell me it was going to be ok. I just didn’t want to do anything. Then Richard said the preacher’s wife needed help in teaching the little ones Sunday School. He asked that I try it out. We started from the very beginning of the Bible. The creation of the earth and all the living creatures, helping the kids was helping me! Then we got to the story of Abarham and Sarah. God promised Abarham that he “would have as many desendants as there are stars in the sky and grains of sand on the beach”. But he had no children and he was a very old man and his wife Sarah was old too. So here I am trying to help the kids learn the story and just getting mad again. Here is this 80 some year old woman having her first baby and everyone telling me, “remember Sarah, she was 80 before having a baby” Really? Like that happens anymore! I told Richard I was done, with Sunday School and I was done with church. He told me no! He told me that God loves me and he loves me too and he was not going to see me lose my faith in God. I did what any good wife whould do and told him to shut up and cried. He held me and let me cry. That was when I prayed to God and asked Him to forgive me for turning my back on Him. I thanked Him for sending such a wonderful, godly man into my life, and I started praying for Him to bless us again with a baby. 8 long months passed and our prayers were answered! We got pregnant again in August 2013! I’m now in my 3rd trimester and things are going well. If it wasn’t for God’s love and patience, I would not be where I am today. One day, by His grace, I will hold my angel baby. He or she will know me and I will know him or her. I realize how blessed I truely was. Yes the pain of losing a baby is awful, but it forces you to see the other blessing you may have been neglecting. I owe a lot to my husband, he was hurting too, but he saw me losing my faith and wouldn’t let drown in my own self-pity. I owe everything to God, He sacraficed His only son and becasue of that I will see my child one day. He went through the pain of losing a child for us! What an amazing God, that He would give us a second chance! 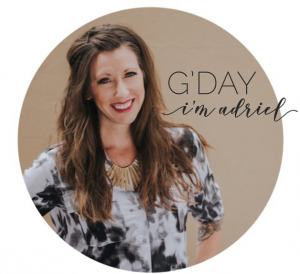 Thank you Adriel for letting us share and encourage other women with our stories. God bless! Sarah, thanks so much for sharing your story here. 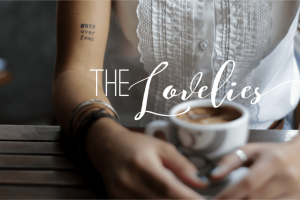 It’s bittersweet – the painful loss and the tender grace that has resulted. I’m glad you’ve found peace in Jesus. So many of us have experienced the loss of a child. I lost my first nearly a year ago. I remember the joy of finding out we were pregnant and the sudden stab of pain and loss when the doctor told me the spotting I had been experiencing was likely the beginning of my miscarriage. It was hard. It was painful. And loosing my child at 8 week was entirely too soon. I wanted longer. I wanted so much and dreamed of much more- for myself and for my baby. I so very appreciate everyone sharing their stories– just knowing someone out there understands my grief is an encouragement to me. Thank you all! Thank you for sharing Jaime. I’m very sorry for your loss. My husband and I decided to start trying to get pregnant in December 2013. January came and started actively trying. I was able to get pregnant right away and found out two days after conceiving that I was pregnant. I know that is super early to find out, but thank God we did. I immediately knew something was not right and we decided to go the the Urgent Care. We were told everything over the next two days from “you are pregnant and 5 weeks along” to “you have already miscarried”. That was a weekend, on Tuesday, we went to the OB’s office. They confirmed I was pregnant but that it was ectopic (meaning it had formed in my tubes instead of my uterus) and we had to terminate the pregnancy or it could cause life threatening harm to me. At that point we knew the baby could not survive as it was not growing in an area that could grow with it, and we knew I could not survive a ruptured tube if we let it go to long because it would cause severe internal bleeding. We had to go to ER one week after finding out that I was pregnant to have the termination done. Then I had to wait for 2 weeks for my body to pass the tissue on it’s own. Over the last few months I have grieved the loss of my little one, and had numerous tests. Just last week I had an HSG test to determine damage or blockage to my tubes. We found out all is good and that my tubes are clear. We have been given the OK to start trying to conceive again and have started that process now. Through the fear and grief, I know that I want to be a mom more than ever and I am going to get through this, with my husband by my side. Thank you all for sharing your stories. For a grieving momma it is good to know that it does get better and I am not alone. Thanks for sharing your story Calli. I pray through much pain, joy with be birthed! This weekend is one of the most difficult times for me. Mothers Day, the cards being given, the advertisements, everyone sending love and cheer to their mothers, and here I am alone. My six children never made it past 5 ½ months into my pregnancy’s which included one set of twins. I am now 61 years old and to this day the pain is as bad as it was on any one of those days. My last child, a son, was lost and I was so not ready to give him up, my body refused to release him. I became very ill and after three days of fighting, my body began to leave along with him, as I was holding him in my womb, I didn’t want to live any longer myself after they informed me that I was going in for a hysterectomy, I was 24 years old, as they called my parents to come quickly and possibly say goodbye to me as well. I will never be able to have any children, never have a child to comfort, hold, love, and yes even get upset with as they don’t do as I say. This was such a difficult thing to think of as they readied me for surgery. I do, yes, every year have holiday’s that are difficult including their birthdays, however, Mothers Day seems to be the most difficult to deal with. The hardest part I believe is that if you have not given birth, then your loss doesn’t seem as bad to others as when a child is lost that has lived even a short life. All children that have been lost is a tragedy, however, please do remember and realize that if a child is lost before birth, this loss is as great of a tragedy of losing a child that has been with us in this world. Pray for the mothers out there that feel this loss and be kind to them, for Mothers Day can be just as tragic to them. Prayers for you. Yes, you are a Mother. Hi Candace, and thank you for sharing your story. I write back to you with tears on my cheeks. And YES you are a mother. “The hardest part I believe is that if you have not given birth, then your loss doesn’t seem as bad to others as when a child is lost that has lived even a short life.” —> I can identify with this too. Wishing others treated our pain and grief with as much weight. A loss of life is a loss of life, period. I lost my first child 24 years ago….her birthday would have been a couple of days ago. Her name is Calista Rose. I think about her…I wonder where she would be in life, who she would have become. I was blessed one year later with another beautiful daughter Autumn and then eight years later with yet a third beautiful daughter Lauren. I will forever and always miss my first child and will think of her for the rest of my life. It is so hard to say goodbye before you ever get to say hello. 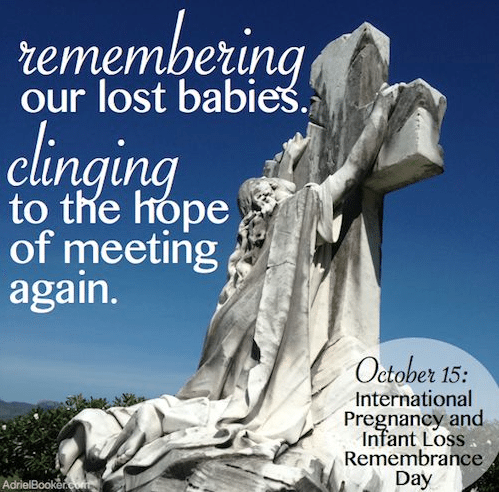 God bless all of you that have lost your precious children…it is so unbearable. I dealt with so many uncaring and ignorant people during the time of my loss. Some just didn’t care and some simply had no idea what to say or do. There is nothing so sad as to being told you child has suffered fetal demise. To have them scrape your little one out of you is awful…it hurts to the core of your being. My mother’s heart and prayers are with you all today and always. I just read these stories and decided to share. I am 61 years old and by the time I was nearly 25 they were removing my last chance and hope of having children and doing a hysterectomy on me, I was dyeing they said. They had called my parents in the lower area of the state and told them to rush and say goodbye to me. I did not die, but I wanted to, oh I wanted to so very badly. By this time I had lost all of my little ones, was not able to carry to full term past 6 months along. I had conceived 5 times, one set of twins and my 6th a son was my last hope but was not to happen. I was raised that your job in life was to be a housewife and mother, later to enjoy being a grandmother which my mother wanted so desperately, however I had failed her and myself and knowing what was happening, three days before the surgery was to begin my husband left me, and I knew why, I was a total loser at this, so how could I be successful at anything. That was then. Now I know that I am not, but still when mothers day arrives, the days of birth of my children come or someone loses a child I still have the crying happening. If I am around others I hold it in until I am alone. I know that one day I will see my children and that my parents have met them, but until that day comes I will weep for them, for I am a mother lost without being able to hold the ones that I so much loved and cherished. I am no longer angry and yes I have my sad days, but have a good life with a good man whom takes care of me and has unconditional love for me that I never thought would happen. But those out there that think I should get over it have never understood. Just because I did not make it to full term with my children does not make the loss any less and I will never get over it. TY for this post, allowing me to put my feelings out there and I do hope that this helps someone that knows others that have lost a love one…let them be, they have the right to grieve. Thank you for sharing your painful story Candace. It’s simply heartbreaking. And yes, women (and fathers) need to feel permission to grieve their lost children. I’m so glad you’ve found hope. I have a friend who just went though an emergency c-section. She told me that one of her babies didn’t make it (Landon) and that the other one (Alistair) is in the NICU. I don’t know how to console her, what she has gone through is heart breaking and I don’t know what to say or what not to say. I’m so sorry for your friend. It’s been several months now. I hope and pray you are knowing peace and friendship and carrying burdens with friends and sharing joys. Hi Marta. I’m sorry I missed this comment when you first wrote it. It’s so hard to know how to help bring comfort to friends when they’re grieving this kind of deeply personal loss. My encouragement is presence – let her know you are there. Show up with little things – a favorite coffee, flowers, a warm cup of soup and fresh bread. 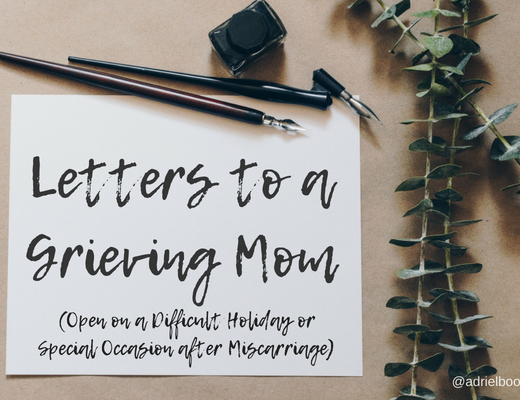 And send texts that say simple things like “I’m still thinking of you and really miss your baby.” Those kinds of messages will mean the world to her – so she knows the world hasn’t forgotten her baby. (Because that’s what it can feel like when people “move on” with their lives and you still feel stuck in your grief.) I hope Allistair pulled through – precious, precious babies! I then cautiously came to this part of your site because I always feel guilty for having grief over my miscarriage. I refuse to use the word “lost” (and to those of you who do – no problem or judgement from me; this is my personal thing…) b/c I know where Baby Joy is – Heaven. And I plan to meet her someday. So I can’t say “lost” b/c she’s not. I have a wonderful 14 year old daughter and a wonderful 9 year old son. And between them is Baby Joy. I learned the song “Blessed be the Name” by Matt Redman about 3 months before my miscarriage, and was relishing in my new pregnancy, and some other great things in life. Then, after the miscarriage was diagnosed and we were “waiting” for what happens next, we went to church and they sang that song…and I just stood in the back of the sanctuary, crying and believing every word of the song…and in pain, emotionally, physically, mentally and spiritually. During our journey of miscarriage, I had the best story – much support, a loving husband, a Christian doctor to perform the emergency DNC, family, friends, a beautiful daughter to love here on earth – all of it. But this site allows me to hold my story out, just a little, to share with other moms who know that this is real. This site helps me know that I’m allowed to remember. This site allows me to be vulnerable, and not feel silly for still remembering, or unthankful for what I have in my life. And my story is my story. And like mothering in this life, comparison is not a tool of God, but of the evil one. So thank you. I still hang on desperately to the words of the “Blessed be your Name” song, taken from the book of Job. Thank you for letting me share. Since writing this, I’ve had a second miscarriage. I’ll link to my stories below. My story starts a short 5 months ago, when I found out I was pregnant with our third baby. We have two health girls already, aubrey is 5 and Jenna was about 7 months. We were very excited, anticipating two babies in the house, picking out names, thinking about what this baby would look like. And at about 6 weeks, I started bleeding. I knew what it meant right when I saw it, it was over. The baby was gone and I was devastated. It was like having the rug pulled out from under you and you fall flat on your face. It hurt. I cried a lot. The process of miscarriage was simple for me, just bleed for a few days, not much more than a period and I was back to normal. That felt even weirder. I felt bad if I didn’t think about my angel baby all the time as if I wasn’t mourning their death. But then I realized it was ok to move on as the angel was right where she needed to be and I don’t need to worry. fast forward to December, my mom has had stage 4 colon cancer for the past year, but now she’s in the hospital after having major surgery. My dad just found out he has stage 4 lymphoma. And on top of all that, I’m pregnant again! The only exciting thing that could come out of all that bad news. But it doesn’t last long. Again at 6 weeks, start bleeding again. This time he bleeding was worse and longer, but I was able to complete the miscarriage naturally. It’s still raw, having two miscarriage and two death sentences for my parents with in 5 months. But God gave me a vision that keeps me positive, those two babies in heaven will have grandparents to play with and watch over them when they get there. My parents will have the joy of watching those two be kids and spending time with them. I am going to see a reproductive endocrinologist in March to see if there is something they can help with but I’m not holding my breath. I would love to keep you informed of how things go with me and my family. It helps to talk about it. Hi Marissa. Thank you for sharing your story here. I’m not sure why I never was notified of your comment so forgive me that it’s taken this long to see it. You’ve had heartbreak upon heartbreak. How re you doing? How is your heart? You’re not alone. I married young and got pregnant early. I was so excited! I went to work and started cramping very badly and fainted and was rushed to the ER. I found out that my little blessing had no heartbeat and I was 8 weeks 4 days pregnant. I was devastated… less than a month later this baby’s father (who had no reaction or feeling toward the loss) didn’t understand why I wasn’t ready to be intimate or try again so soon. May 11th 2006 he forced himself on me and I was once again pregnant. When I told my mother that I was pregnant again, so soon after the first loss, she said “so, this is just another one of my grandbabies for you to lose.” This shook me to the core… This child however, was carried to term and is a healthy 8 3/4 year old boy. I feel angry with myself and so ashamed that I have very little connection to him. I divorced him, took custody and have since remarried. January 3rd 2013 I found myself pregnant with a beautiful little girl, who’s name was to be Annabelle Reylynn. I was more than excited this time to be able to carry a child conceived out of love to term. That all came to an abrupt end as 38 weeks approached. I was 37 weeks 6 days when I hadn’t felt any movement and decided to go to urgent care to have her checked out. I was told my baby was dead and I’d have to deliver her immediately. Now, even though we’d stopped trying we were doing nothing to prevent it either. On November 9th, I ound out I was pregnant again and so many emotions ran through my heart… I was terrified that this would end horribly. I was obsessed with kick counts and freaked out if he went more than n hour without moving. He was due July 31st. however, July 6th 2015 we welcomed our wonderful handsome miracle into the world. He spent 4 days in the NICU but was perfectly healthy. His name is Lakoda Oliver Levi Chang. My point is, that no matter how much pain we endure, a miracle can always arise… I still weep for my lost children… Especially around their due dates. But I know my two living children have many angels watching over them and protecting them. I will love them forever and they will never be forgotten. Thank you for taking the time to share your story of loss AND hope here. Many blessings to you and huge congrats on being a new mum again. Welcome Lakoda! Oh yes, our babies did that too. We always did think they MUST be looking at angels. Saturday, May 24, 2014, I woke up early to go to my second day of the Sacred Pregnancy Weekend Retreat. I was really excited to get going so I quickly got out of bed and immediately noticed that Shepard was sitting very high that morning…much higher than normal. I brushed it off and continued to get ready for my day. As I went to Einsteins to grab breakfast to go, I noticed I hadn’t felt him move and he was still sitting in that same spot. I told myself not to get paranoid and relax. Reminding myself that Shepard wasn’t very active in the mornings anyway. So, I arrived at the Sacred Pregnancy Retreat and started day 2 of what I thought would be such a spiritual and healing day. By 1 pm I was now completely removed from the retreat. All I could think about was Shepard. Rubbing my tummy constantly, poking him, trying to get him to interact with me. Nothing. I expressed this to the other pregnant mammas I was with and they told me to take some time for myself and the baby in a private room. After another 30 minutes of no movement I was now in complete panic mode. The fathers were expected to arrive at 3 pm for the remaining part of the retreat. I called my husband, Estil, and told him to come early and bring the doppler. He arrived with a beautiful bouquet of my favorite flowers, white ranunculus, and the biggest smile on his face. He was so handsome and so excited for that evening. When I greeted him at the door he immediately knew I was seriously scared and we rushed into a private room to find the heartbeat. After 10 minutes of trying with no success we asked a midwife in training who was running the retreat to help us. After a couple minutes she told us to call our midwife immediately and go to the ER. My midwife, Marinah, was in Tucson, 2 hours away at the time. She talked with me on the phone the entire ride over to the nearest hospital. She tried to reassure me that everything was probably just fine. We were seen almost immediately. The technician refused to go straight to an ultrasound and made me sit there while she tried for 10 minutes to find a heartbeat. I could have killed her… this was absolute torchure. Finally after Estil and I were practically yelling at her to get the ultrasound machine she left us alone for another 10 minutes before bringing in another tech and the machine. The tech refused to tell us what she saw on the screen. Finally Estil snapped at her and said ” Show me the screen “. He looked back at me almost immediately with tears in his eyes and said ” There’s no heartbeat”. The tech then brought in a doctor on call who very coldly said she was sorry for our loss and instructed me to get admitted to the hospital for a C-section. My midwife was on speaker the entire time and told us not to sign a thing, leave and go home. She met us at our house about 2 hours later. I made the decision with her and Estil that I didn’t want to wait to go into labor naturally, knowing it could have taken up to a week for my body to do it on it’s own. After finally realizing I wouldn’t have the home birth I had been preparing for I called a spiritual mentor of mine and had her pray with Estil, my mom and I. I immediately fell into a place of peace. As strange as that sounds, in that moment and the few hours following I was numb yet somehow in a state of acceptance that THIS was what had been laid before me. I was also fully aware that my work was not done. I still had to labor and meet my son. Sunday, May, 25, 2014, at 7 AM we arrived at Scottsdale Osborn Birth Center. When I got to my room I was greeted by the most compassionate nurses, my midwife, my doula, my mother, my best friend and the doctor my midwife specifically chose to hand my care over to, Dr. Sally. The IV was started and so did the first round of cytotec to get labor going. I was naturally already 1 cm dilated when I arrived at the hospital…. thank god! My body already knew what it needed to do. I labored for 20 hours surrounded by my closest family and friends. The hospital was wonderful. They gave me the best nurses and let me do whatever I wanted. I could walk the grounds as I pleased. I could labor how I wanted. For such a sad, dark time… it was amazing. Monday, May, 26, 2014 at 3:25 AM my beautiful son, Shepard William Wallace was stillborn at 32 weeks. He weighed 4 pounds 4 ounces. He had a full head of blond hair and dark blue eyes. Estil and I got to bathe him, hold him, take pictures with him and have a blessing for him with our family and friends right there in the hospital. Everyone got to meet him , hold him and say goodbye to him. I am so grateful I had my midwife on the phone advocating for me that night in the ER. In that space, where you are told your child has died, it is impossible to make clear decisions. It is too difficult to think about the situation at a 10,000 ft. level and make choices based off of how you want to remember this horrible tragedy. Had Marinah not been there I probably would have listen to that doctor and admitted myself for an emergency c-section. I was incapable of making sound choices in that moment. And I know now, I would have regretted that for the rest of my life. I was not in danger. There was no need for any “emergency” protocol. I took a full 14 hours to be in my home with my baby and my family. I got to calmly and slowly walk through all my options. My family had time to prepare themselves as well for what was to come next. One of my sisters even had enough time to fly in from California to be there when her nephew was born… How cool is that?! Because of Marinah, I got to bring my son into this world the way God intended; naturally. I had the privilege of laboring his precious little body for 20 hours. I got to have skin on skin contact with him the moment he was born. He got to enter this world the way he deserved to. With respect, dignity, and love. Estil and I stayed with Shepard until 5:30 that evening. Leaving the hospital without my baby was the hardest thing I have ever had to do. I can’t quite find the words to describe how I felt in the hours and even days afterward. I do remember sitting in his room with all of his stuff was somehow a comfort to me. Looking at his things made him feel closer to me in some weird way. The following weeks were a blur. Between crying and sitting in what I can only describe as a dark whole, we slowly crawled our way back to a “normal” day to day life. Whatever that means. Now, 5 months later, I don’t cry everyday. I don’t fall apart every time I pass his picture. I have happy days and I have sad days. Each day is different. But not a day goes by where I do not think about him. Wonder how big he would be right now, what milestones he would be hitting. What his little voice would sound like. If he would have been a good eater…. the list goes on and on. I do know that talking about him and saying his name as often as I can is healing for me and my husband. We had him cremated and the funeral home separated some of his ashes from the urn so we could bury some of them in the roots of a tree in our backyard. Someday, we will get to tell our rainbow babies who their big brother is and that big tree in our backyard is Shepard’s tree. I built an alter in his room where I collected all of the gifts people gave us, photos of him and his family, any drawings or letters we wrote to him, they all sit on his alter. This gives us a special place just for Shepard that we can go to anytime. His urn sits on a shelf front and center in our living room next to a picture of him. The frame says, ” You have my whole heart for my whole life”. When I look at that picture and read that quote, my heart aches, yet it brings a sweet smile to my face. Little things like this have helped us through the grieving process. I think it helps other people not feel so uncomfortable when they come to visit too. It shows them we are proud to talk about our son. We don’t want his death to be some big elephant in the room that no-one dares speak about in fear they may upset us. In fact, it is quite the opposite. We want to hear other people say our sons name. We want people to ask to see pictures of him. It makes us feel good to show off how beautiful he was and how blessed we are to have had him, even if it was just for 32 short weeks. Before I delivered Shepard, Dr. Sally warned us that most parents never find out why these things happen. She said we had about a 25% chance of ever finding out what went wrong, even with all the testing. Well, if there is ever a silver lining, this was one for us. We were among that 25% that got to know what happened and I thank God everyday for this. All of the testing had come back normal. There wasn’t one abnormal lab for me or my son. However upon delivering the placenta it became clear as day why Shepard died. Shepard had what is called a Velamentous Cord Insertion. A condition where the cord inserts into the side of the placenta ( fetal membranes) instead of the center of the placenta. This caused the membranes to rupture, cutting off blood supply to Shepard. Having the medical explanation to why Shepard died has helped both of us tremendously in our grieving process. I honestly cannot imagine what goes through the minds of the parents who never get this answer. Having this knowledge allowed my brain to process his death in a very scientific, systematic way. It helped me understand that this was not my fault. People asked me if I had lost faith in God. They expected me to be angry. And I can honestly say that I never lost my faith. I was never angry with God. Maybe it has to do with knowing the medical reason why… I am not sure. I will say that suffering the loss of a child will definitely test your faith. That I am sure of. But, I felt God with me the entire time I was laboring Shepard. God was with me when I held my sweet baby in my arms. And God was there when I walked home with empty arms. I know this with full certainty because while I was overwhelmed with grief, I knew I was going to be okay. I knew that in time I would be happy again. I could feel this certainty deep within me. I was never really lost….I trusted the process and just allowed myself to feel and live fully in each moment of sadness and really morn the loss of my baby. I have learned through life experience not to question why things happen the way they do, but to lean into God to help me get through it. My husband and I said repeatedly, Shepard’s death did not happen TO us, it just happened. The reason is not for us to know. Instead of being angry for what we didn’t get, we tried to focus on what we DID get… 32 amazing, beautiful, joy-filled weeks that no-one can ever take from us. Our lives are so much fuller because of Shepard. And for that, we are truly blessed. Now, I talk to him all the time. I ask him questions and pray to him. He is my Shepard and his love guides me everyday. I have been blogging our story for just over a year! Thank you for creating this open space for sharing. Your writing is beautiful… I look forward to reading more of your story.